Over the years our candidates have thrived. We measure our SUCCESS given OUR CANDIDATES SUCCESS, ATTORNEY PLACEMENTS INTERNATIONAL STRIVES TO ENSURE THAT WE DELIVER ALL ESSENTIAL BACKING for our CANDIDATES TO CONTINUALLY SUCCEED. “Beatrice is an experienced, successful recruiter. She is a go-getter and operates with intention. Beatrice knows the legal marketplace. She is skilled in seeking to maximizing opportunity and compensation, and to present lateral candidates in a highly favorable light”. As a native resident and law school graduate of California, my decision to relocate to New York after law school with plans to sit for the New York bar exam and search for a position in the legal world that would jump-start my law career, was an endeavor of which the odds of succeeding with a smooth transition were stacked against me. Consequently, my diligence and research of finding a tailored bar review class that would prepare me appropriately for the New York Bar exam was quite extensive. My needs were very specific- I had to find a course that would allow me to study/prep for the Bar remotely from California, but I still wanted individualized attention in the event I had any substantive or procedural questions or concerns. I spoke with several different representatives for varying bar review classes in NY, but none of them came close to suiting my customized interests until I spoke with Beatrice O’Brien of New York Bar Review. I was introduced to Beatrice O’Brien of the New York Bar Review Quality Program through a friend who knew of my plans to move to New York. Upon signing up for the program, I studied for the bar exam while working full time, which at the time overwhelming and extremely challenging. Beatrice provided individual support throughout the process. I found the course to be well organized and it gave me the freedom to work through the materials at my own pace. When it came time to take the exam I knew that I was as prepared as I ever could be. After sitting the exam, Beatrice assisted me in the search for opportunities in the New York legal market. Together we customized by resume and she was a great resource in prepping me for interviews. It was always my dream to one day work and live in New York and the adventure continues. The process, looking back, was on both a personal and professional level one of the most rewarding experiences of my life to date. This was an adventure that would not have been possible without the New York Bar Review Quality Program and Attorney Placements International. I sat and passed the New York bar exam last July through New York Bar Review Quality Program, Thank You Beatrice. I must say it has taken me this long for the news to sink in!….Many thanks again for your help and dedication to getting me into Ropes. “Thank you very much for all of your efforts in finding me a great fit for my practice! Your use of your connections in the legal market and attention to my search was very much appreciated as well as your friendship and knowledgeable guidance during the process”. Jack I. Habert joins Akerman as Partner in the New York Office. Mr. John E Mitchell former partner of Baker & McKenzie www.bakermckenzie.com to Akerman LLP John Mitchell has more than 16 years of experience practicing in the areas of commercial restructuring, workouts and bankruptcy. John practice covers all facets of restructuring and reorganization, including the representation of lenders, creditors, debtors, and trustees. Mr. David Parham former partner of Baker & McKenzie www.bakermckenzie.com., to Akerman LLP. Mr. David Parham has been recognized by Chambers for his proficiency in bankruptcy and restructuring. He has extensive experience representing corporate and partnership debtors, creditor committees, equity holders, secured and unsecured creditors, lessors and trustees in bankruptcy proceedings, litigation and workouts. Mr. Stiehl former partner in the Litigation Department of Seyfarth Shaw LLP. Where he was the Co-Chair of the Commercial Class Action Defense Practice Group. Joins Akerman’s Chicago Office as an Equity Partner Mr. Stiehl is the editor of, and frequent contributor to, the Practice Group’s Consumer Class Defense Blog. Jason represents clients in complex commercial disputes involving trade secrets and restrictive covenants, unfair competition, corporate espionage, contract, and intellectual property claims in both state and federal court. 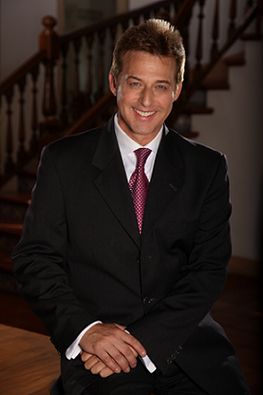 He also has extensive nationwide class action experience, including involvement in multi-district litigation. Mr. Stiehl has successfully obtained and defended preliminary and permanent injunctions in several jurisdictions across the country. His client experience includes nationwide representation in the pharmaceutical, consulting, banking, transportation, manufacturing, advertising, real estate, employment, medical equipment, computer, and automotive industries. His appellate experience includes presenting oral arguments before several federal Circuit Courts as well as the Illinois Supreme Court. We are the Consultants instrumental and work closely with high profile firms in placing both major groups and partners globally we spend our time actually undertaking the projects., given the focus of our Firm to ensure quality and enhancement for our clients we do not spend time being quoted and writing articles attaching their names as passing off for the work done by our FIRM. “If there were a fairy godmother for top attorneys seeking lateral placements in Big Law, Beatrice O’Brien of Attorney Placements International LLC is it! Beatrice is a pro at identifying ace lawyers for lateral placement and presenting them with a variety of viable prospects. Beatrice will work at your side as your trusted counsel during the search process, providing valuable advice and helping you navigate through the transition. Searching for a new opportunity can be stressful at times, but you will sleep well at night knowing that Beatrice and Attorney Placements International are advocating for your career. Due to Attorney Placements International’s extensive network and Beatrice’s relentless persistence, I was able to find a great new home in Big Law. When seeking new opportunities, I highly recommend Beatrice O’Brien of Attorney Placements International LLC: consider her the Rolls Royce of legal recruiters.” – Superstar Big Law Associate, Upward Bound. Many thanks Beatrice for your assistance in obtaining an interview with a New York law firm. The market at present is particularly difficult and it is a credit to your ability that you were able to get my foot in the door. In terms of the bar reader’s course, I had no problems, as a full time working lawyer, being able to complete the course. It left me very well prepared for the exam. If you are passionate about a career in the law and want to be challenged like you have never been before, the New York bar exam is definitely for you. The study process requires significant commitment and focus but if you are willing to put in the time then passing the bar exam is very achievable and is not as difficult as you might initially believe. I never felt overwhelmed throughout the process and this was due to the expert guidance and support provided by Beatrice O’Brien and her team. Beatrice ensures that each candidate has tailored course materials that explain in detail the intricacies of New York law. Beatrice also provides a flexible study plan so that you can prepare for the bar exam full-time or part-time for as long as you need before sitting the actual exam. Furthermore, lecturers are always available to respond to queries about substantive law. Significantly, Beatrice personally answers any questions you have about the process of passing the bar exam and shares her experiences and insights into becoming a lawyer in New York and breaking into the New York legal market. This kind of support is priceless and is simply not replicated in comparable New York bar exam study programs. The New York Bar Review Quality Program is well worth the time, effort and expense and I highly recommend that others participate in this enriching experience. Dear Beatrice, Thank you for arranging this course. I’ve passed on my first attempt! I look forward to working with you to secure a placement in NY and plan to spread the word about your educational insight. Dear Beatrice and Amit, I passed! And at least on the MBE portion, I passed well! Hi Jeff Thank you for all your help in the essay intensives. You were amazing! I passed the bar exam! Being admitted to the New York State bar board sounds like an incredibly daunting process and almost a fantasy to most people, particularly a law student in Australia. Thankfully though, with Beatrice O’Brien’s help through the New York Quality Bar Review Program, I was able to achieve this. Beatrice helped me throughout the entire process, from my initial interest in the program, to helping me become familiar with New York legal concepts, to eventually sitting the exam not an easy task for someone who studied law in Australia. Beatrice’s encouragement throughout the process, even when it seemed impossible, helped me to believe that I could do it. I was even able to find employment despite the tough economic crisis. Thank you so much Beatrice for all your help, and for making my dream of being admitted to the New York bar come true! This is my first access to my personal email since my wonderful news. You really have made all my Christmases come at once. I am still in disbelief! Hi Beatrice, I just thought to let you know that I passed the bar exam! Thank you for your assistance in achieving this milestone. I’ll definitely be recommending your program to others. It is such a relief! Regards. While perusing the Lawyers Weekly a few years ago, I stumbled upon an article about the New York Bar Review and realized that obtaining my dream job in New York was actually achievable. After obtaining some valuable legal experience at Macquarie Bank and Henry Davis York in Australia, I decided that it was time to move to the Big Apple. I discovered that the program that New York Bar Review offered was tailored to Aussie lawyers and included video lectures presented by a very personable and highly experienced teacher as well as an intensive workshop focusing on the multiple choice aspect of the exam. The multiple choice was definitely the most challenging aspect of the grueling two-day exam and the workshop helped to boost my confidence and provided me with invaluable tips. All of the New York Bar Review students during the time that I took the exam passed and that in itself speaks volumes, especially considering that the pass rate for foreign lawyers was 36.3%. A couple of weeks after I had submitted my resume to Beatrice, I got an interview with one of the largest international law firms in the world and received an offer after my first interview. Seyfarth Shaw Deepens International Labor & Employment Practice with Addition of Darren G. Gardner and Dominic Hodson as Partners Attorneys: Darren G. Gardner, Dominic Hodson Los Angeles and San Francisco, CA – – Seyfarth Shaw LLP, one of America’s leading full service law firms, announced that Darren G. Gardner and Dominic Hodson have joined the firm as partners. They will be resident in the firm’s Los Angeles and San Francisco offices. Gardner and Hodson specialize in assisting multi-national companies with their employment and labor issues outside of the United States. Gardner and Hodson join Seyfarth Shaw from Minter Ellison; a firm acknowledged globally for its high quality international employment practice that was established and led by Gardner from the firm’s San Francisco office. Gardner will head up Seyfarth Shaw’s International Practice Group. I met Beatrice O’Brien, the President and Founder of the New York Bar Review Quality program, at the information session she gave at the University of New South Wales as part of a series of sessions in 2004. Once I decided to go to New York, I signed up for the program. I studied for the bar exam while in my final semester of University, and as the exam date drew closer, the study became overwhelming with 17 subjects worth of information that needed to be remembered, processed, analyzed and conveyed during the 2 day, 8 hour per day, exam. It became full time work with a 12 hour day divided between listening to lectures and doing practice papers. Ultimately, it was a question of perseverance and during that time any logistical and moral support became essential to reaching the finish line. Beatrice provided individual support throughout the process. The same outstanding methodology of Attorney Placements International has greatly contributed to the growing esteem and value placed by the New York legal market in Australian lawyers. It is rare that you get to exactly the point you were striving for. The Quality Program and Attorney Placements helped me get there.